Investing in the future of young peoples' public health has never been more important for ethical and economical reasons, writes Helen Donovan. It makes moral ethical and economic sense for any society to invest in children and young people’s health and well-being. Unicef (2013) provides evidence for the economic and wider societal impact that supporting families has in helping to mitigate the impact of inequalities in society. Those who are better off do better in health outcomes from non-communicable disease, due to things like obesity, but also from the wider impact of economic dependence in those with poorer educational attainment or with mental health problems (Marmot 2010). Mental health and depressive illness as well as drug and alcohol use have significant impact on society and are of increasing concern. Early interventions, particularly by nurses supporting families and children, can have significant positive effects (WHO 2003). 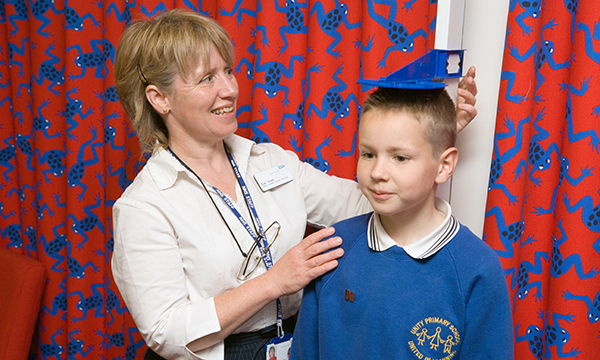 Demonstrating the value of early intervention is difficult, but there is evidence that universal support measures from health visitors and school nurses do make a difference to children’s lives (PHE 2016 and RCN 2017). The RCN (2017) report ‘The best start: the future of children’s health’ highlights the risks raised by the recent significant drop in health visiting and school nursing numbers. There are fewer nurses accessing the specialist community public health nursing courses which give them the specialist skills to undertake work with families, children and schools. There has also been a significant drop in funding, and complex arrangements for the commissioning and provision of these services has meant that these nurses are facing increasing workloads, with many saying they are unable to provide the services children and young people need. As a previous RCN report on the public health nursing workforce (RCN 2016) identified, these nurses have the expert skills to support families and young people as well as others around them. They understand the local community and systems and are well placed to put in practical support. The health visitor implementation plan (DH 2011) strengthened the need for investment in early years. The plan promoted the need for a universal service for all children and families at various stages based on the evidence that early intervention significantly improves life chances (APPG 2015). Mandation of this service was put in place when the service transitioned to commissioning through local authorities in 2015. The RCN is asking government and local teams to ensure the mandated services – as well as wider support for all children from birth through school years – are properly commissioned to be led those who have the right skills to do the work. It is also calling for wider investment and acknowledgement that investing in children’s public health is vital for the future and it is a false economy not to do so. All Party Parliamentary Group (2015) Conception to Age 2: first 1001 days. Building Great Britons. Marmot M (2010) Fair society, healthy lives : the Marmot Review : strategic review of health inequalities in England post-2010. Helen Donovan is professional lead for public health nursing at RCN, and Primary Health Care Editorial Board Member. How to recognise and support children with this rare genetic condition.